Our reverse cycle window conditioner has a cooling capacity of 4.1kW and a heating capacity of 3.6kW. It is powered by a 1.5hp energy-effient compressor. It features a number of functions that can be activated on the LED control panel or through the remote control. 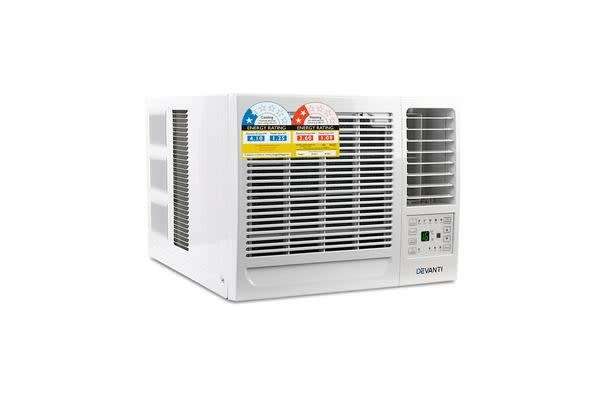 These functions include a 3-speed cooling/heating/fan mode, auto swing function, 24-hour timer and sleep mode. 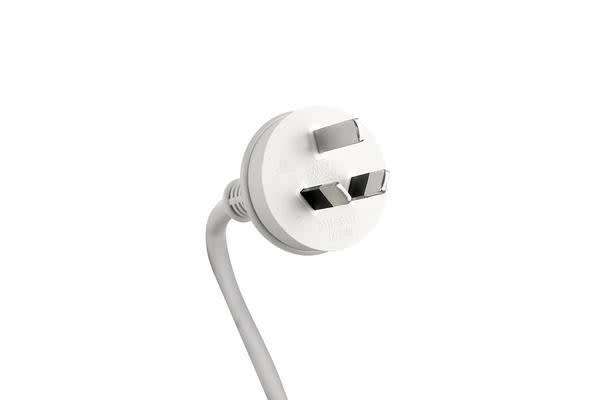 The unit only requires a 10A power socket to work and is suitable for room sizes of up to 35m?. There is a 2-year warranty on the product. 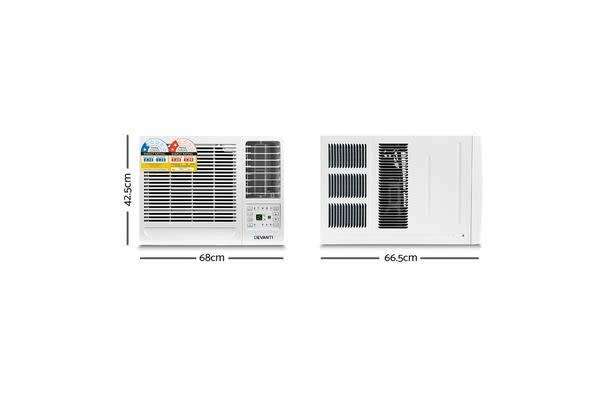 * Suitable to cool rooms up to 35m?